When I picked this burger, I thought it was just weird enough to work. It turns out I was right, but I needed to call in the reinforcements to make it work. Hence, the tag "Dennis Saves the Day" was born. Since I met him, I've called Dennis "MacGyver," because he has this innate ability to...fix stuff. In weird ways. The first thing I ever saw him MacGyver was a metal cabinet. We worked together a hundred years ago, and he had this metal cabinet that wouldn't stay closed. He also had this big calendar magnet. So he folded the magnet in half and used it to keep the door closed. Holy crap! That never would have occurred to me. So I eventually married him and now he MacGyvers things all over the house. All that being said, these burgers almost didn't happen. My last burger was delicate, but flippable. These? They just crumbled. "Did you put bread crumbs in them?" Dennis asked. To be fair, the recipe tells you (told me) that they would be delicate, but I underestimated it. So they stuck to the pan and I pouted and Dennis fixed it. There was only one that was pretty unsalvageable. The one on the right in the picture below. I don't know why this picture won't center correctly. These burgers are just out to get me. 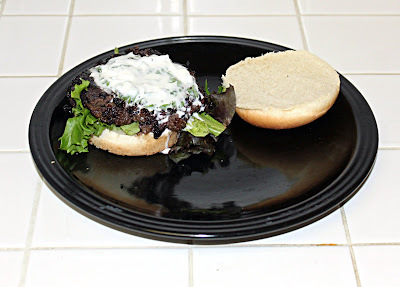 For the recipe, I upped the amount of breadcrumbs, because these burgers are kind of impossible without it. Delicious, but impossible. 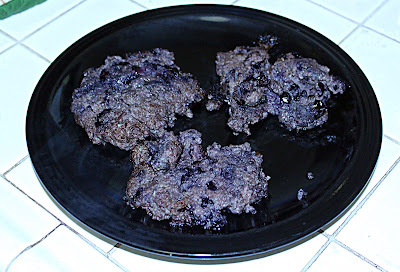 Mix the blueberries, breadcrumbs, and beef together. NOTE! The blueberries are going to make these burgers super moist. For real. 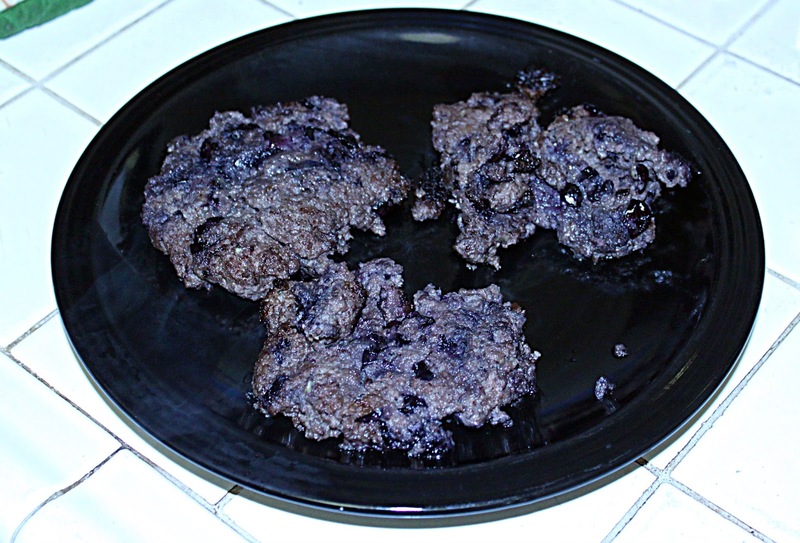 Be careful when you're forming these patties, because there's a good chance they will ruin your day. Mix the basil with the crème fraîche. 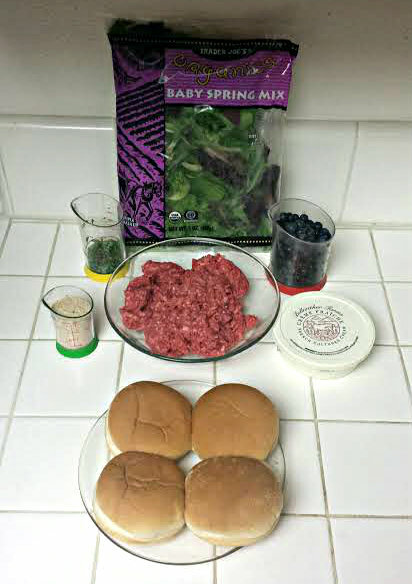 Build your burger in this order: bottom roll, salad mix, burger, basil crème, top roll.